Your No.1 destination for meat supply in Luzon, Visayas, and Mindanao! 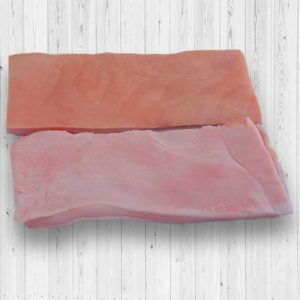 Taken from the back of a pig, this cut features a good amount of fat that makes it a great ingredient for dishes that require the addition of luxurious pork fat. It can be ground up to make ground pork, then used in sausages, burger patties, or meatballs. It can also be salted and deep-fried if a simpler cooking method is preferred. Our experts will be glad to get in touch with you. Sourcing meat from local farms, and from more than 15 countries, to bring you meat that pass international and Philippine, high quality standards. 25 years of bringing our customers the right product, at the right price, at the right time. With offices in major urban areas in Visayas, Mindanao, and Luzon. We are a member of major organizations: Meat Importers and Traders Association, Inc. (MITA), Philippine Association of Meat Processors, Inc. (PAMPI), People Management Association of the Philippines (PMAP), Supply Chain Management of the Philippines (SCMP), Cebu Chamber of Commerce (CCC). ALFA ALL FOOD ASIA, INC. is a leading nationwide distributor of temperature- controlled quality meat and meat products, with distribution hubs strategically located in Luzon, Visayas, and Mindanao, to bring you the right product, at the right price, at the right time. Thank you for contacting us. Our team will get in touch with you with some answers.